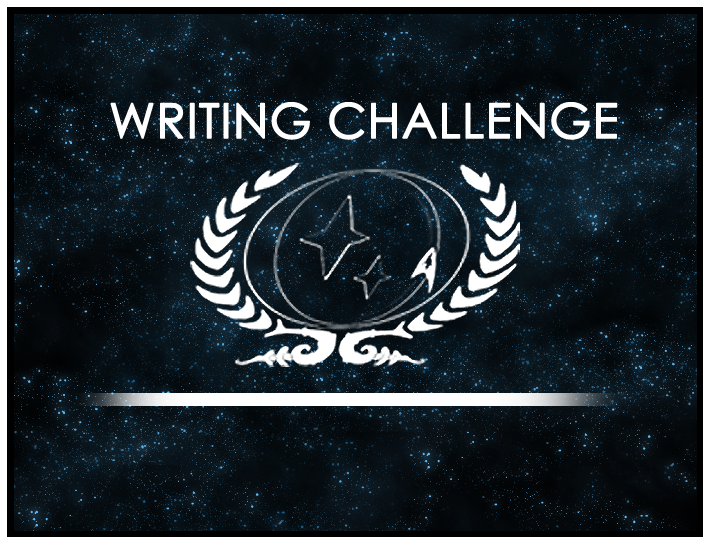 The second place story for this round was right behind the winner in the rankings, and in the words of Chris, another Challenge judge and writer for Commander Jhen Thelev and Lieutenant Sinda Essen, “Lessons from the Past,” a story by Marissa (Captain Kalianna Nicholotti), “[Her] writing is beautifully poetic … and create a story that is evocative and thoughtful, as much about the future as it is about the past.” The runner-up chose not to present her story with any dialogue and impressed judges with this stylistic choice. Be sure to offer your congratulations to these talented writers if you haven’t done so yet. Our next Writing Challenge is already open, and Ed has chosen the theme “Under My Skin.” Take a look at the Challenge prompt, but be sure to submit your story before August 27th!